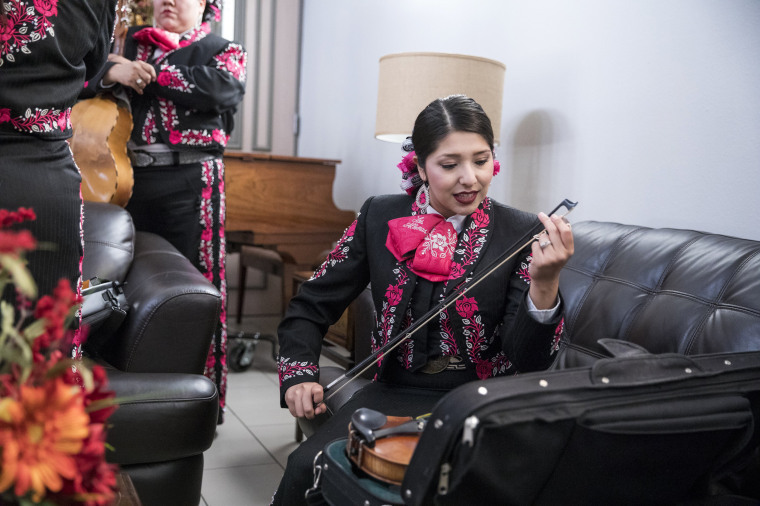 The San Antonio-based group Mariachi Las Altenas is trying to change a music genre that has been traditionally played exclusively by men. 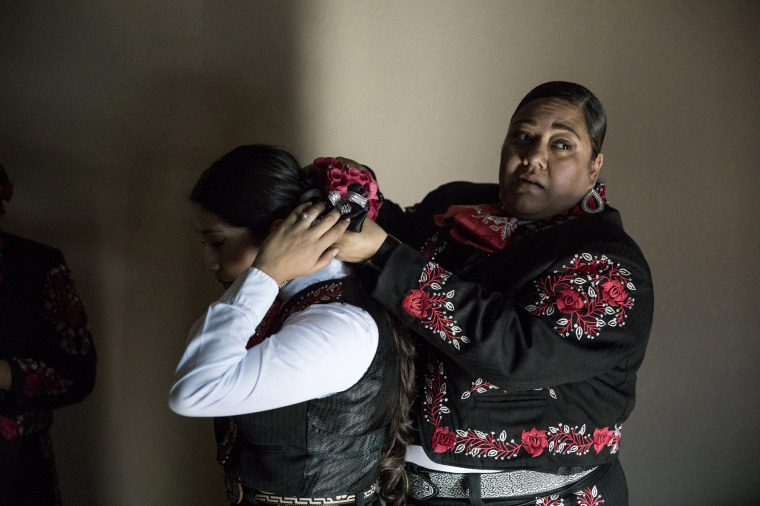 Vanessa Moreno, a member of the all-female mariachi band Las Alteñas, adjusts her bandmate's hair before a performance in San Antonio on Saturday. 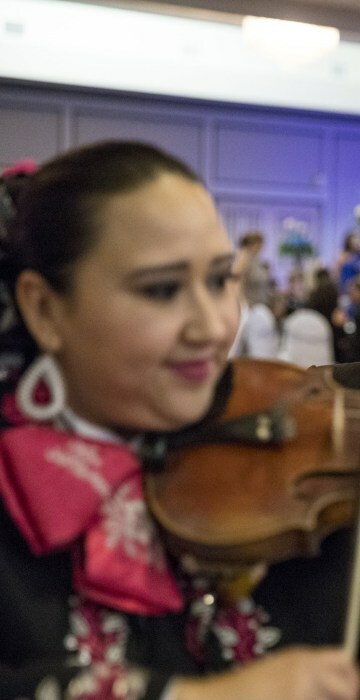 In a major shift in recent years, more and more women are beginning to play mariachi. 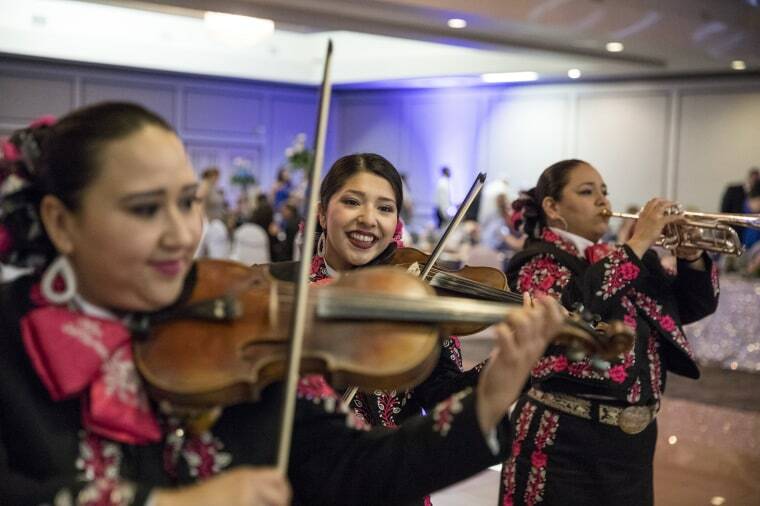 Students from around the country are embracing mariachi, too. They compete nationwide from California to Illinois. 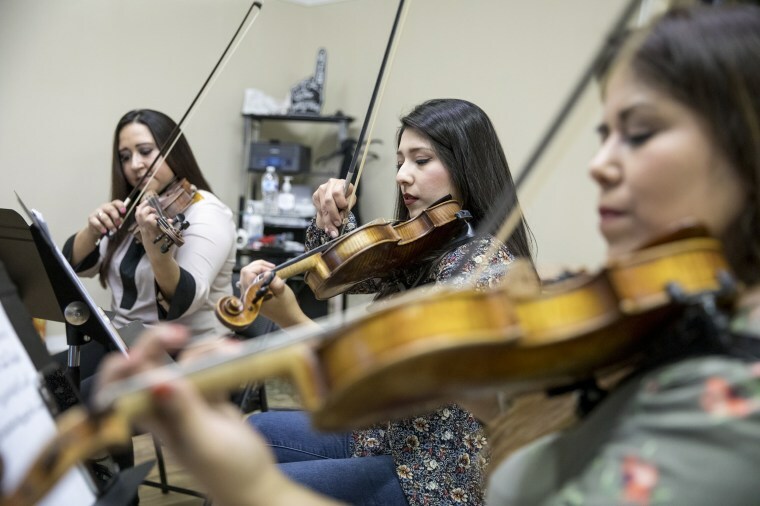 Celeste Villareal, center, plays violin during a rehearsal with bandmates. 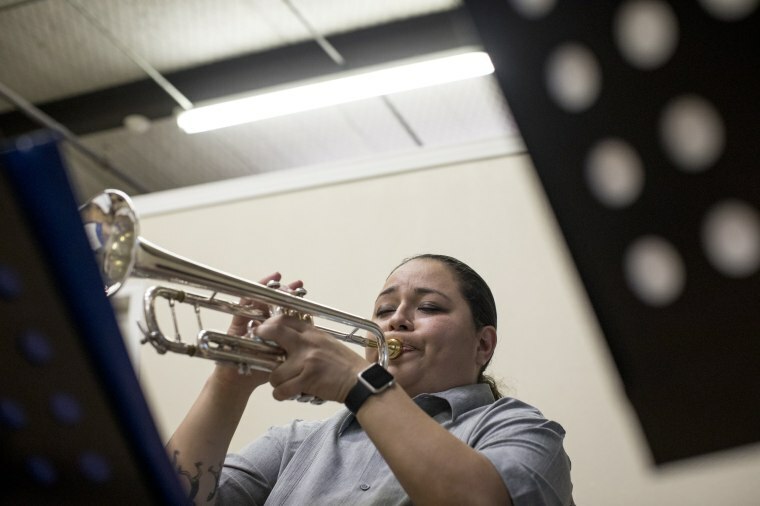 Bobbie Suzanne Garcia plays the trumpet. Band director Valerie Vargas gets dressed for a performance. 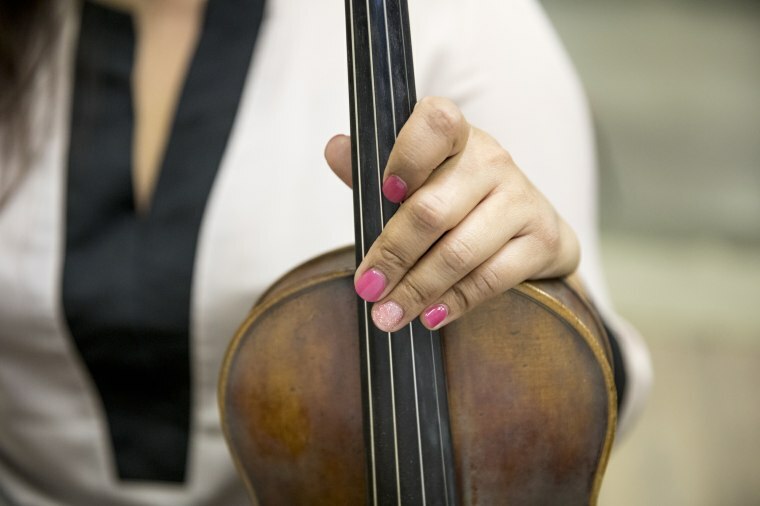 “I started playing the violin in the orchestra, fifth-grade strings, and then worked all the way through college in the orchestra,” said Vargas. 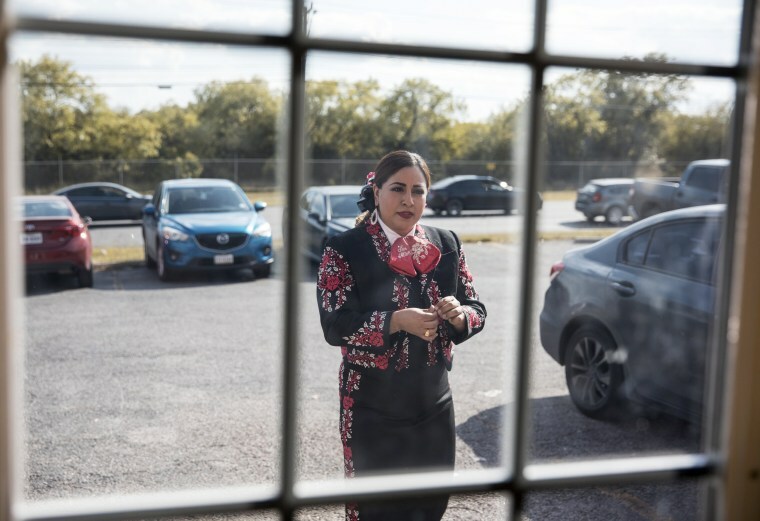 Vargas joined local community mariachi groups when she was 13 and remembers the business being mostly male-dominated. 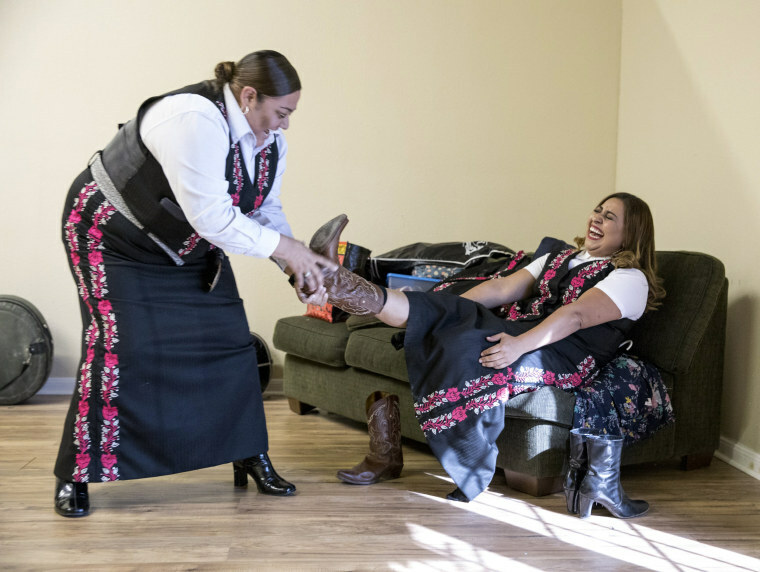 Vanessa Moreno helps bandmate Josephine Pereyra change her boots before a performance. 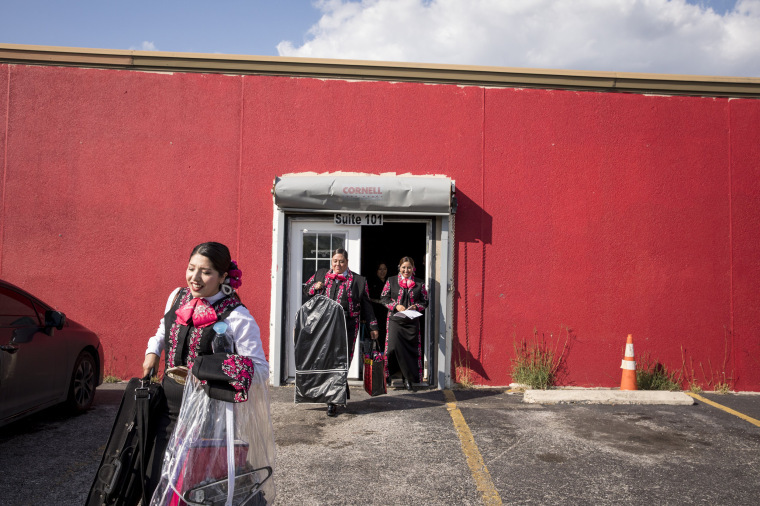 The band leaves its rehearsal space on the way to a performance. Josephine Pereyra arrives for a performance. Celeste Villareal applies resin to her bow before the start of a performance. The band performs at a wedding. 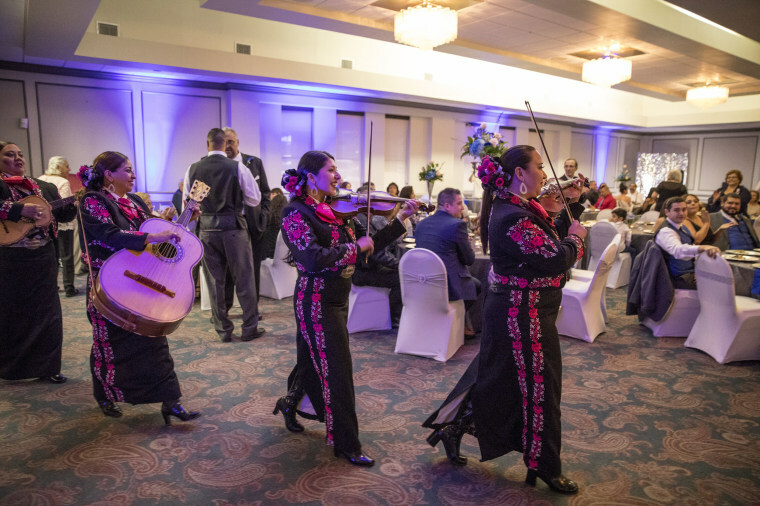 Mariachi Las Altenas is not the first all-female group to entertain audiences with the vibrant sounds of Mexico. 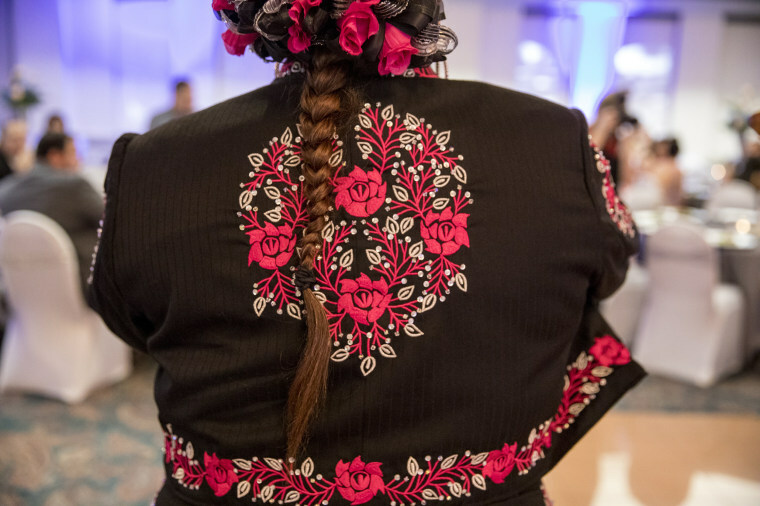 Founded in 1999, Mariachi Divas went on to win the first Grammy Award for an all-female mariachi group in 2009, paving the way for more women to embrace the genre. 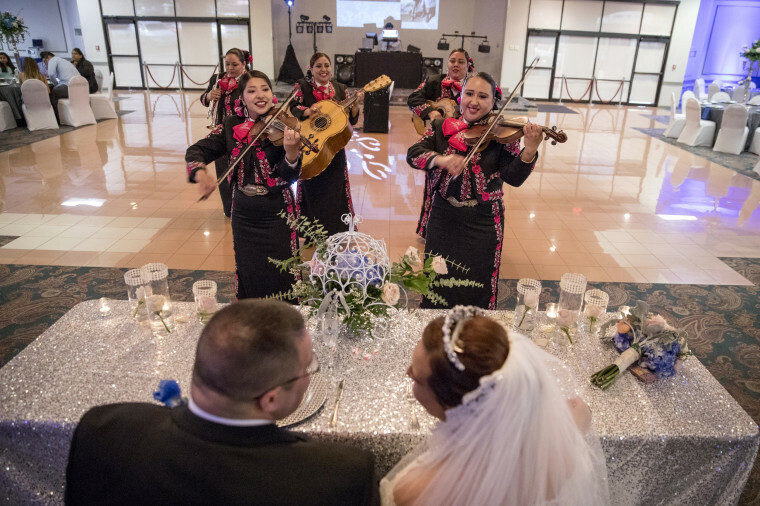 The band entertains guests at a wedding. 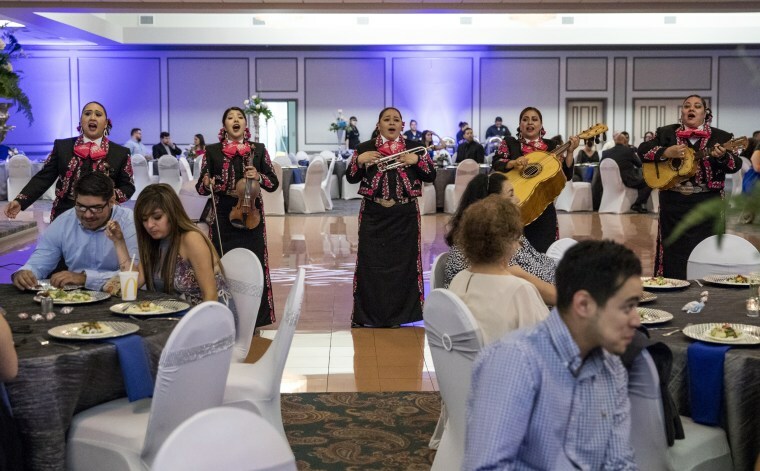 From left, Valerie Vargas, Celeste Villareal and Bobbie Suzanne Garcia perform at a wedding. The band serenades the bride and groom, Christina and Jacob Ibarra.